1. 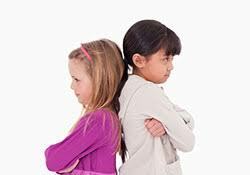 Avoid Comparison: Comparison among five to six years old kids only leads to rivalry, jealousy, and apprehension. So, avoid comparing your child with others. 2. Don’t Overprotect Your Child: When your overprotected child goes out, he is bound to feel shy, timid, and jealous when he meets confident kids. So, don’t overprotect your five-year-old child. 3. Be Lenient: Setting up strict rules and over-controlling your kid will hamper his confidence and make him feel less worthy. Be friendly and lenient with your dear child. 4. Avoid Unhealthy Competition: Insisting kids to perform an activity and comparing their results is bound to make kids feel low and jealous, if they don’t excel. Keep your five-year-old and older kids away from unhealthy competition.